Based on the true story of the 1839 mutiny on board the Spanish slave ship, Amistad, here is the frightening sequence of events that led fifty-three young men and women – and one young nation – to seek freedom and justice for all people. Amistad is the story of Cinque, the illegally enslaved son of a Mende chief who led an uprising full of fury and courage. It is also the story of John Quincy Adams, the former American president, who reluctantly heeded the call to justice and defended Cinque in a Supreme Court trial that would alter the nation’s history. And it is the story of men and women searching to find truth and to uphold the basic tenets of the American Constitution. 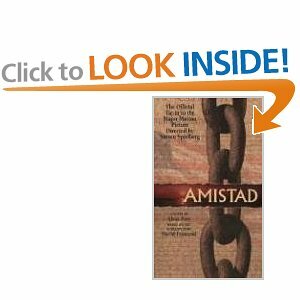 Brilliantly narrated by award-winning novelist Alexs Pate, Amistad celebrates the human spirit’s profound determination to fight, hope, and to be free.